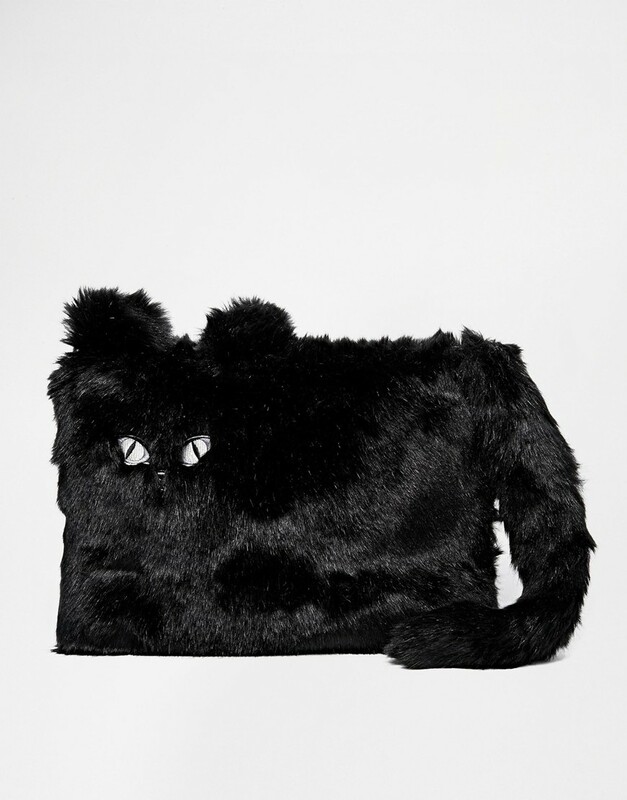 So, someone at New Look thought it would be a great idea to make a clutch that looks exactly like a cat for Halloween. Yes, apparently cat clutches are now a thing, AND they’re £20. Cats are great and all (dogs are better), but we never thought people loved cats enough to buy a cat clutch. A cat clutch that’s available in two colours; pink and black. It got us thinking though, what other cat clothing and accessories are available to buy for the Crazy Cat Lady in us all? As we’ve said, this clutch is pretty damn insane. It’s also rather large. You could call it a bit of a fat cat. Oh, and it has a tail so you can swing your cat round your head on the dancefloor. Or just at your desk. If you’re a huge enough fan of cats to be interested in buying one of these £20 monstrosities, you can head on over to the New Look website. We’ve all seen cat jumpers, but have you seen a pink fluffy one with a nose and whiskers on it before? Now you have! Known for their crazy clothes, Lazy Oaf is selling this short-sleeved number, and, somehow, this model is making it work. It could be because she’s gorgeous, or it could be she’s paired it with a cool leather mini skirt. Probably the former. The jumper’s on sale at the moment, but it’s still priced at £45 (it was £65). Get yours from ASOS. Look, it’s another bag. This time it’s a functional backpack though. 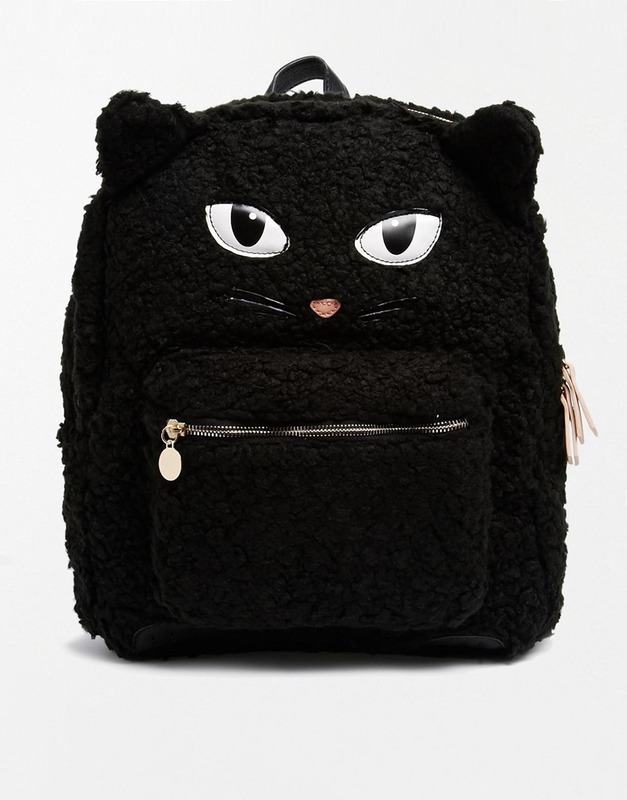 Yes, as if backpacks didn’t make us feel childlike enough, Aldo has given us one that’s furry with ears and whiskers! Get yours from Aldo for £22.50 in the sale (yes, it was £45). You can’t actually buy this swimsuit anymore, as so many people were desperate to buy a swimsuit with a cat emblazoned on the front, that it’s sold out. However, if you go to the Black Milk website, you can see how others, who were lucky enough to get their hands on this not-crazy-at-all swimsuit, have styled it, including one girl who teamed hers with a leopard print onesie and an actual cat. 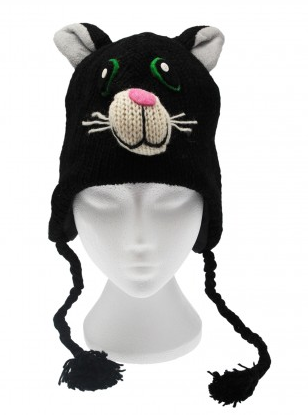 No crazy cat clothing list would be complete without a crazy cat hat. This knitted one has eyes, a nose, whiskers and, of course, ears. It’s also pretty practical, making sure you’ll keep warm with its ear covers and tassels. From the Paper High website, you’ll see you can get other animals in hat form as well, like chickens, bears and Bert from Sesame Street (not strictly an animal, but you get the idea). Get yours from Paper High for £9.95.